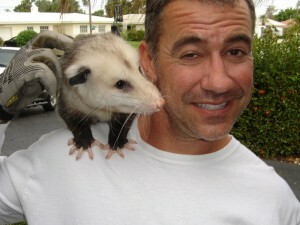 Why Hire Us for Your Opossum Problem in Palm Beach County? 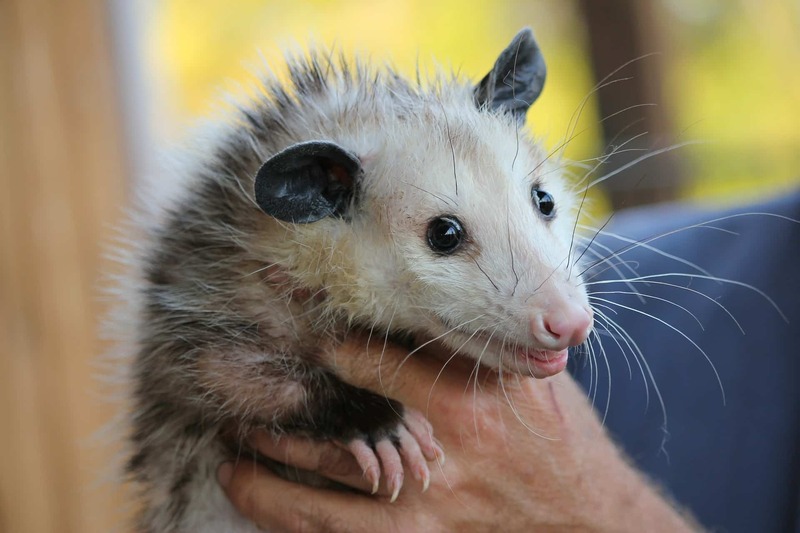 Have opossums invaded your attic or populated under your porch? Call Wildlife Removal Services, Inc. your full-service wildlife removal company serving Palm Beach County and Broward County in South Florida. We are experts in trapping and Opossum removal from attics, decks, porches, crawl spaces – anywhere they hide at your home or business in the Boca Raton area. 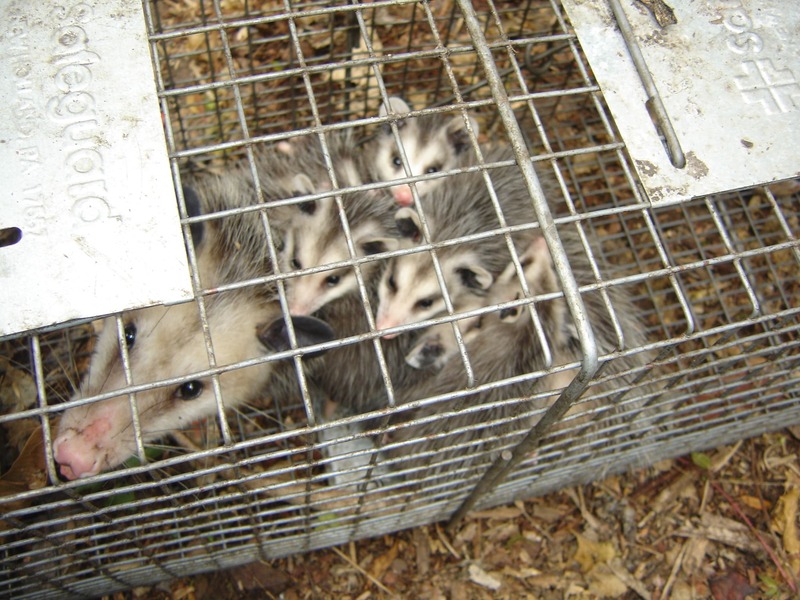 To find the possums for removal, we will inspect both the inside and outside of your home or property to find out how they got inside. We will find and seal all the possible entry points then set traps and remove the opossums. Once removed, we will perform any necessary cleanup and attic restoration. Call Wildlife Removal Services today at (561)212-9255 to discuss Opossum removal in the Boca Raton area and schedule an inspection. Opossums, commonly called possums, are abundant in South Florida. They can be found in or around homes and businesses throughout Palm Beach and Broward County. Adult possums are roughly the size of a cat with light gray and black fur. Opossums have a pointed snout capped off with a pink nose, 50 teeth (more than any other mammal! ), opposable “thumbs” (on their back feet), and a long, rat-like tail. Even though opossums look somewhat like a rat, they are not rodents. In fact, they are North America’s only marsupial, meaning that females sport a pouch (like kangaroos and koalas) in which their babies live and grow until they are weaned. 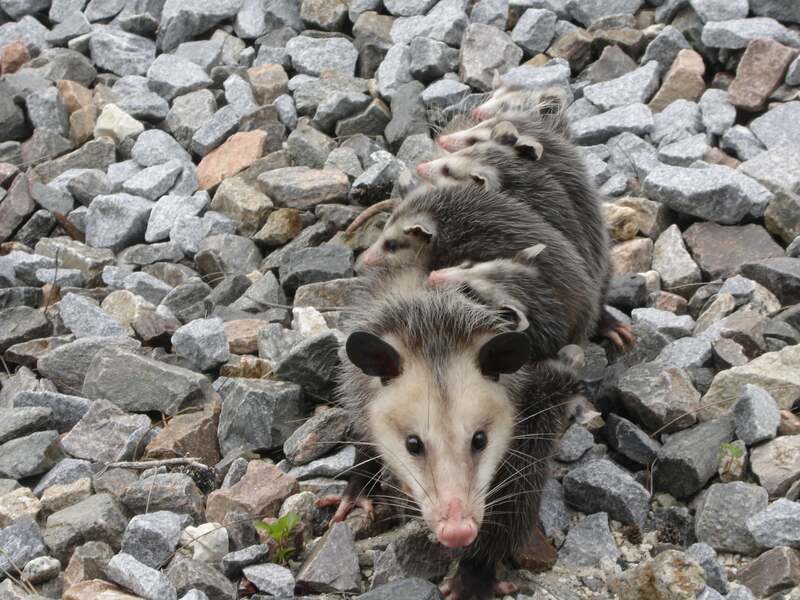 Speaking of babies, possum mating season runs from January to July, and females will typically have 2 to 3 litters a year, with an average of 5 to 9 newborns. Opossums are nocturnal omnivores, meaning that they typically roam at night and, like raccoons, will eat anything, which is why you might find one rummaging through your garbage cans outside, eating pet food left outside or feasting on fruit trees and vegetable gardens. They also like to eat rats, snakes, and dead animals such as road kill. When frightened, possums will hiss or growl and bare their teeth, which can make them seem vicious (and look creepy! ), but they are actually not very aggressive. If threatened, they will typically just run away or “play possum” by rolling over and pretending to be dead. Although nomadic creatures, opossums DO like to take up residence in your home or on your property – from the attic to decks, sheds or underneath mobile homes. In the attic, possums, like rats and raccoons, can cause significant damage to air ducts and insulation. The main concern is that they leave behind large amounts of unsanitary droppings with the risk of transmitting leptospirosis or Salmonella. 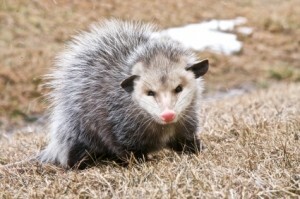 Outside, Opossums can make a mess of your trash cans or be a nuisance to dogs and cats. 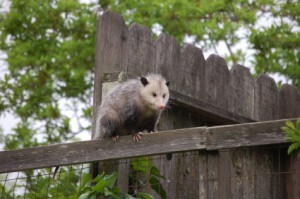 If your pet corners one, the opossum may strike out and try to bite the offender. The good news is that possums rarely carry rabies, but they DO carry fleas, ticks and other parasites that can transmit disease. At any rate, it is extremely important to get rid of opossums in your attic as soon as you realize you have an infestation in Boca Raton, Broward County, or Palm Beach County. There are two effective ways to get rid of opossums: trapping and exclusion with a one-way door. If you decide to use traps, be sure to check with your local animal control office and find out if it’s legal for you to do so and what procedures should be followed. Sometimes states only allow a professional wildlife removal expert to do this. Because these creatures seem so timid, more people are bitten – not realizing the wild instincts are there until it’s too late. Save yourself a trip to the health department and call our possum removal company in the Boca Raton area. Opossums leave behind a lot of poop all over the attic floor, about the same size as that from a medium-sized dog. This biohazardous waste can grow mold and transmit diseases such as leptospirosis or Salmonella. It’s not a good idea for a homeowner to handle this clean-up job and be subjected to the germs. Instead, you should leave it to a professional like Wildlife Removal Services. We will ensure that all feces are removed with the soiled insulation. Once completely vacuumed out, the attic space is sprayed with a disinfectant, followed by a a separate deodorizing process. We use an environmentally-friendly, biodegradable and non-toxic solution that destroys any last traces of the waste, germs, and odors left behind. Your choice of insulation is installed once we have a like-new attic space to work with. Often times, your homeowners insurance will cover the cost of attic restoration, so be sure to check with them before starting the job. To keep possums out of your attic and home, you need to find any and all openings that would allow access and seal them off. Opossums will climb trees to get to the roof and find openings in the roof (tile roofs are especially vulnerable), soffit or eaves. If you hire an expert like Wildlife Removal Services to help with possum removal in the Boca Raton area and beyond, we will inspect your home or business for all possible entry points and seal them off to prevent any future invaders. Outside you should remove their food sources by keeping garbage cans locked up in a shed or garage (be sure these are sealed up, too). Never put out garbage cans the night before pickup or you might wake to find a big mess. Only put them out in the morning. Also, never leave bowls of pet food outside – that’s like an open invitation to opossums, raccoons, rats and other nuisance wildlife! 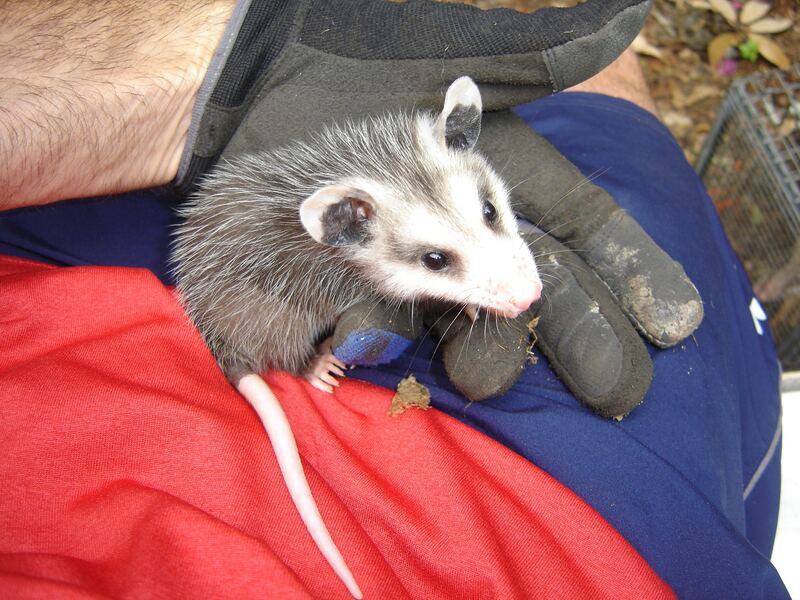 Why Hire Wildlife Removal Services for Opossum Removal in Boca Raton, Broward County, or Palm Beach County? Patrick with a pet possum that was raised since it was a baby. This is a pet possum! Don’t try this at home! If you have possums in your home or on your property that you want to get rid of and you’d rather avoid contact with these creatures, call Wildlife Removal Services at (561)212-9255. We are a possum removal company in the Boca Raton area for all of Palm Beach and Broward County. We’ve been trapping and removing possums and other nuisance wildlife from South Florida homes and land for years, and we do it humanely. 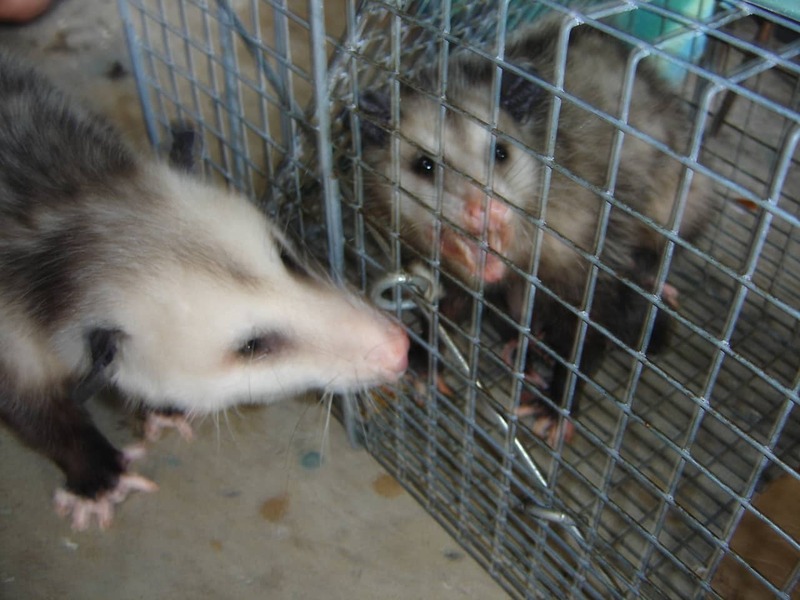 If you suspect you have opossums in your attic, we will conduct a thorough inspection of your home or business for entry points and close them off with a wire mesh that possums can’t get through. If there are baby possums, we will remove them by hand and set a trap for the mother. 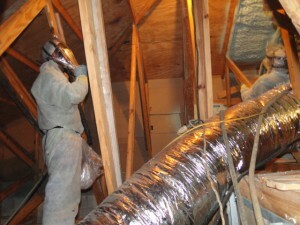 We also offer attic restoration services to clean up the feces with a non-toxic solution and replace soiled insulation. Wildlife Removal Services is fully licensed and insured, and we offer 24/7 service for residential and commercial customers. Call us today for a FREE no obligation estimate for our Boca Raton services that include getting rid of opossums in the attic or submit the contact form. We’ll come to your home or office and create a plan to solve your opossum problem. We always guarantee our work and have very fair pricing.